Dr. Mark Jaffe was raised in Washington, DC, graduating from Woodrow Wilson High School in 1971. He attended the University of Michigan for his undergraduate studies. Majoring in psychology, he also fulfilled his pre-medical requirements and graduated with high distinction in 1975. Jaffe then attended Georgetown University School of Medicine graduating in 1979. He then did his residency training at Jefferson Medical College in Philadelphia, Washington Hospital Center in DC, and Wayne State University in Michigan, where he served as chief resident in dermatology in 1983. 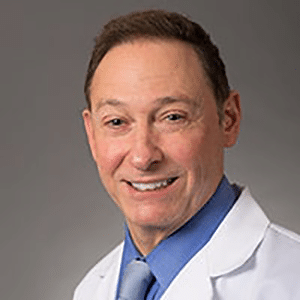 Dr. Jaffe returned to the DC area in 1987, joining a small practice that had been established in 1962. Under Jaffe’s leadership, the practice has grown to its current status as one of the largest and most respected dermatology practices in Maryland. He joined the faculty of Georgetown’s School of Medicine in 1988 and is currently an Assistant Professor, actively involved with medical school admissions. He has authored multiple articles pertaining to dermatology, especially legal concerns in dermatology. Dr. Jaffe and his wife Susan (an instructor at The George Washington School of Education) reside in Bethesda and have been married for 41 years. They have three sons – Eric, a journalist with Google, Robert, a psychiatrist with Mt. Sinai Hospital, and Adam, a digital integrator with Turner Broadcasting. Call 443.351.DERM (3376) or Request an Appointment Today. I love Anne Arundel Dermatology! Anne Arundel has the best dermatologists I have ever been to. Tax Day CoolSculpting Flash Sale! 3 Days only! It’s time to spring clean your skin routine!